This garden store is great for storing garden tools, toys, furniture, etc. 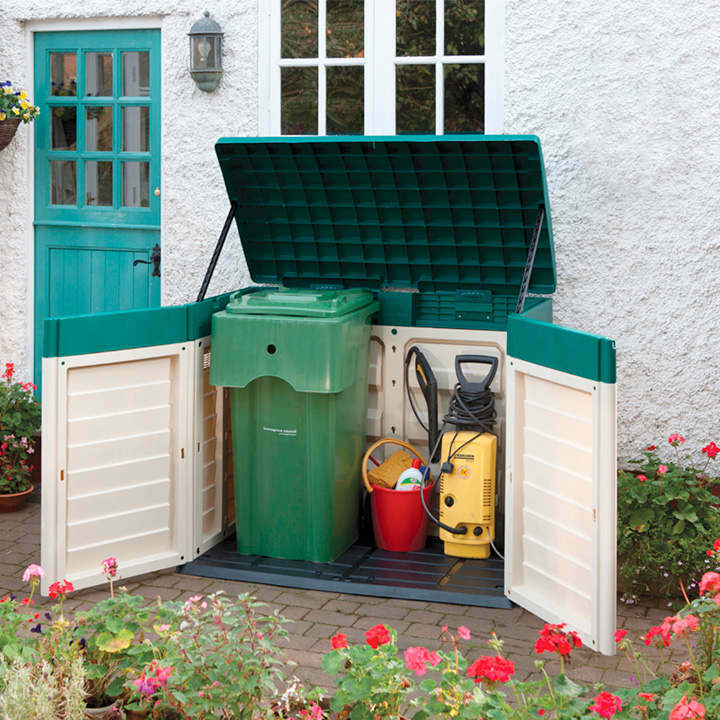 Alternatively you can use it as a wheelie bin store, it's able to hold two standard 240 litre wheelie bins. Dimensions: EXTERNAL - 1190mm height, 1440mm width, 830mm depth.